Foraged & Sown, a woman-owned, first-generation farm, grows annual herbs and vegetables in traditional rows, inter-cropped perennial herbs and berries in rows and orchard arrangement, and bench-grown seedlings and saffron in a small hoop house. We have been in operation since 2014 and currently grow on 4 sites totaling 2 acres. Our farm has been certified organic since 2017. Production is achieved with shared hand tools and a two-wheel walk-behind tractor. 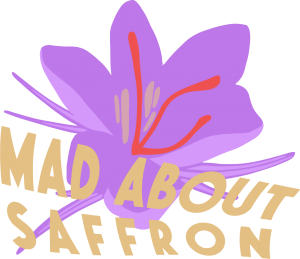 In the first year of the Mad About Saffron project, we began exploring how to grow saffron in the Midwest through in-ground and hoop house production. We successfully harvested and processed the stigmas from 758 flowers. 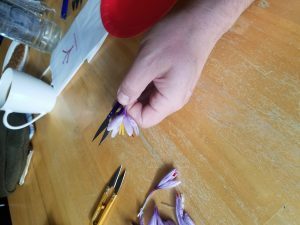 Three collaborating farmers visited a saffron operation in Ontario Canada to learn directly from another small producer. We sold saffron late in the farmers’ market season to begin understanding the market potential of this product. Our weed management research and educational outreach will be carried out in 2019. We are keeping records of hours spent planting, cultivating, and harvesting saffron. We are also counting flowers collected to extrapolate yield from the two different planting locations (hoop house and in-ground). 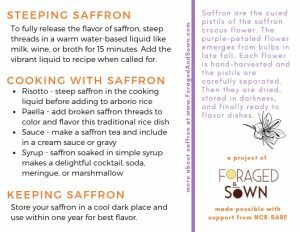 We created and distributed saffron recipe cards to farmers’ market customers and vendors in the fall of 2018. The cards contained information about how saffron is grown and used to increase awareness of the crop in the Midwest. In Year One, we learned through experiencing one growing season in Ohio with both in-ground and hoop house production. Hoop house production was more prolific and the harvest was easier in year one. 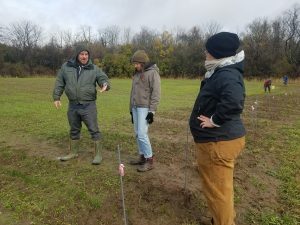 Ohio’s 2018 autumn was wet and cool, yielding little outdoor production and making weed suppression difficult. 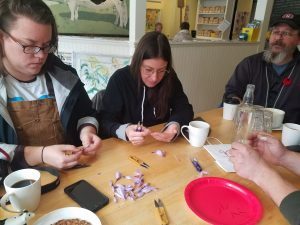 Our most valuable education came from visiting True Saffron farm in Ontario Canada in November 2018. There, we talked with experienced farmers about how they grow, harvest, and process their product. We spent a morning harvesting with them on site. Additionally we visited some of their value-added processors and retailers. True Saffron Farm showed us that collaborating with small value-added producers is an effective strategy for marketing and sales. They provided us with critical information about harvesting and drying techniques that increases the quality of the final product. Their mentorship will be invaluable for our 2019 growing and outreach plans.